Relax after a long day in the Playmobil Modern Bedroom. The cozy comforter is an ideal place for curling up with a good book or counting sheep before bed. Includes: a figure, bed, blanket, pillows, nightstand, planter, shelves, books, lamps, chair and accessories. 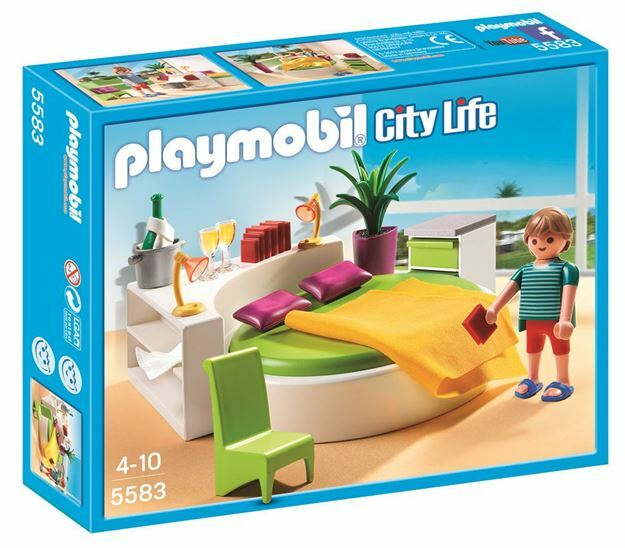 Part of the City Life range. Age 4+ years. Distributed in New Zealand by Holdson.